This steak recipe will become your family's favorite -- it's seasoned with McCormick® Worcestershire Ground Black Pepper Blend. 1. Mix all ingredients, except steak, in small bowl. Place steaks in large resealable plastic bag or glass dish. Add marinade; turn to coat well. 3. 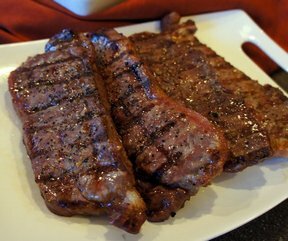 Broil or grill over medium-high heat 6 to 8 minutes per side or until desired doneness. Sprinkle with additional Worcestershire Pepper, if desired.